brilliant device i like it. jack , 20 Feb 2014in lumia series all the mobile design is looking same ...you have to change this as soon as p... moreIs there any difference in hardware in Samsung Galaxy Series??? And Apple I phones ?? vatsa, 21 Feb 2014nokia plz make an android phone please launchWhy, there's plenty of android phones out there. Nokia makes WP, accept it. neil, 20 Feb 2014nokia plz make an android phone or ios really... IOS??? Nokia killed itself in Cambodia because of the touch screen on Nokia C series. Since that time 90% of smart phone users lost their confidence on Nokia. 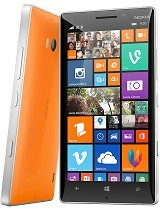 Recently it is bit improvement since Lumia replaced the C series. Operating System is not a big concern, but the display is far behind the other smart phone companies in the world. afghl, 19 Feb 2014Dont buy dis fone go with galaxy note 3 amazing fone i think price difference only 5k to 10k ... more@afghl no its not the battery life is crap it does with in 24 hours even with a full charge. the size of the screen makes the pixel density less, and harder to work with...aka unergonomic. 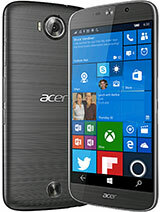 Also its specs are sub par compared to the Nokia Lumia Icon. the iphone is the brick definition, and the specs for this phone are amaizing. The snapdragon 800 is the most powerfull chipset, Adreno 330 again very powerfull, the quad core KRAIT is the best, the 20MP camera with 1/2,5" sensor size.. the 3G modem with 4G speeds up to 150mbps, latest wifi technology, etc, etc. Please indicate the phone with better specs than this one. jack , 20 Feb 2014in lumia series all the mobile design is looking same ...you have to change this as soon as p... moreMost of lumia look like bricks. 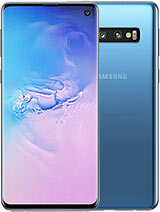 The specs of this yet to announce phone is outdated compared to top brands. Can it ping? I mean download bbm chat?